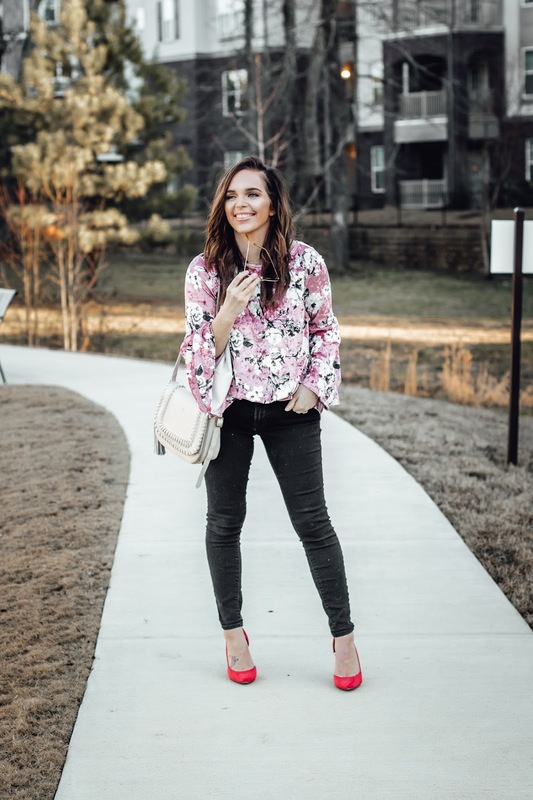 February might almost be over (how is that possible) but I'm still feeling all the pink vibes! 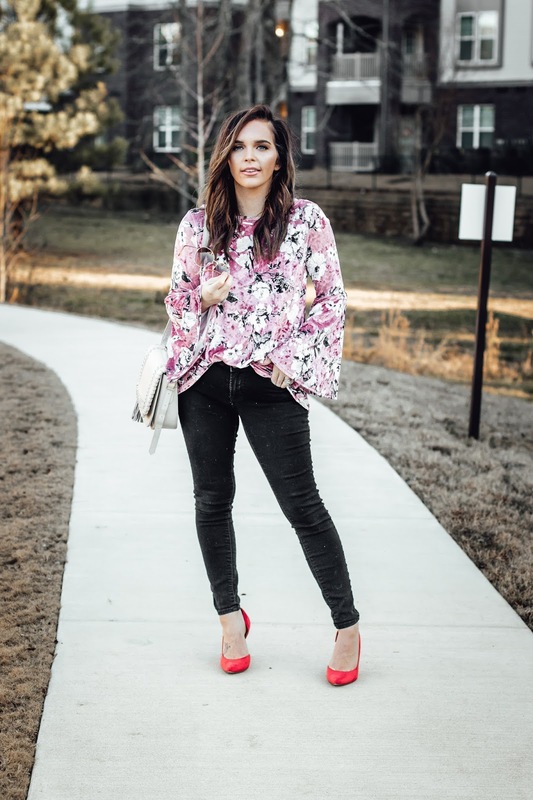 I'll be honest I wasn't so sure about a velvet top, like give me all the velvet dresses but am I the only one who thinks velvet tops can be so unflattering? I think it's just the fabric itself BUT I think the way you style it that plays a huge part in how it actually looks when it comes together. 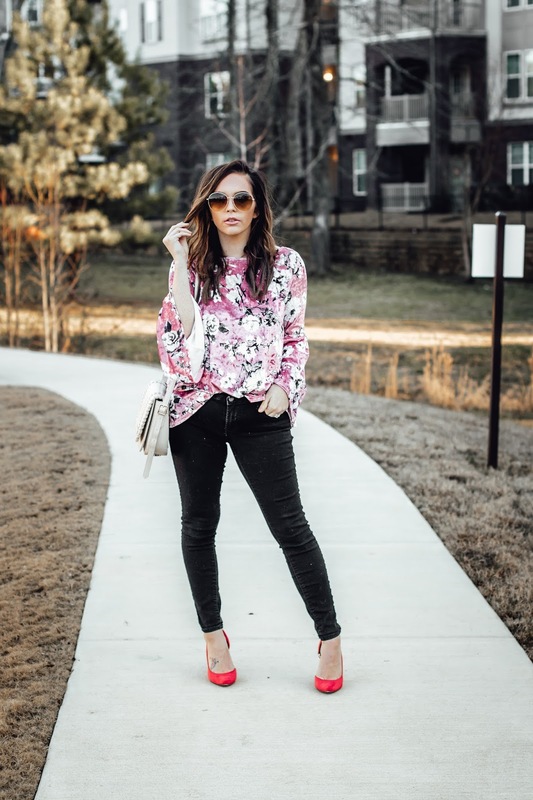 I love the print of this velvet top from PinkBlush and loooovee the open back!! 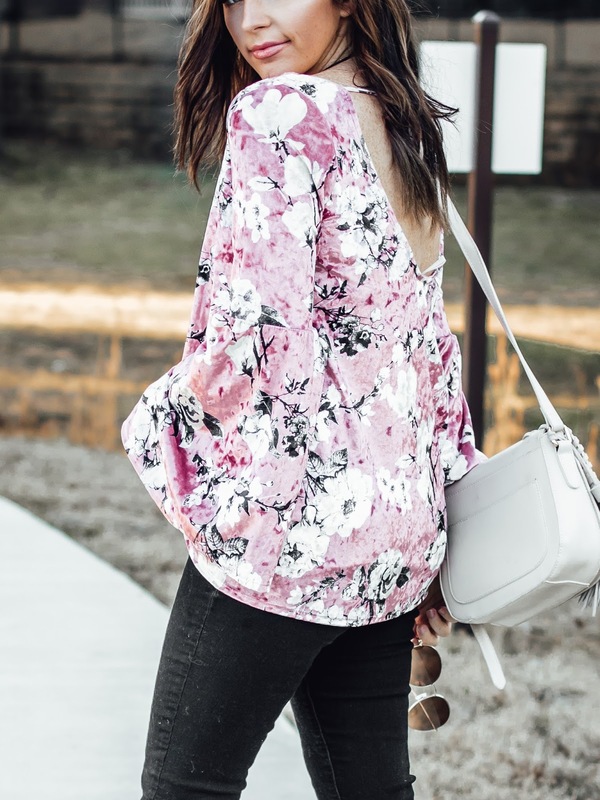 It also has really big bell sleeves that make it so flirty! 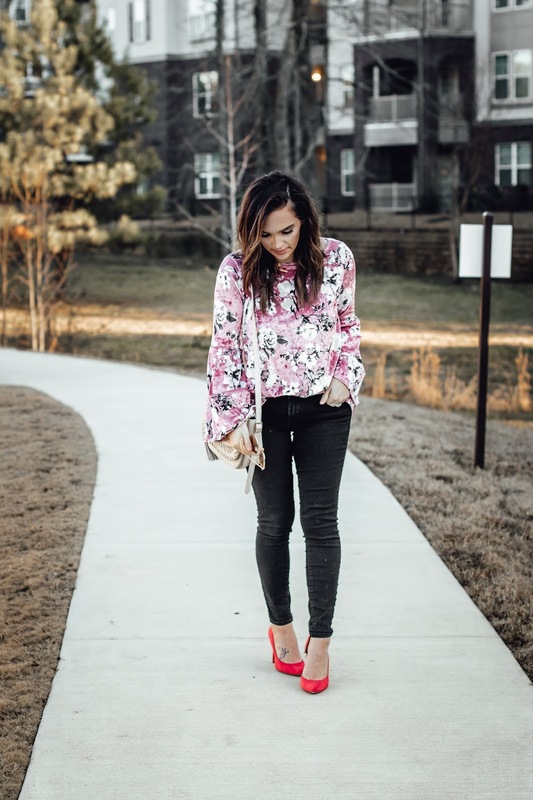 I paired it with one of my favorite pairs of charcoal jeans & a brighter fun pump! 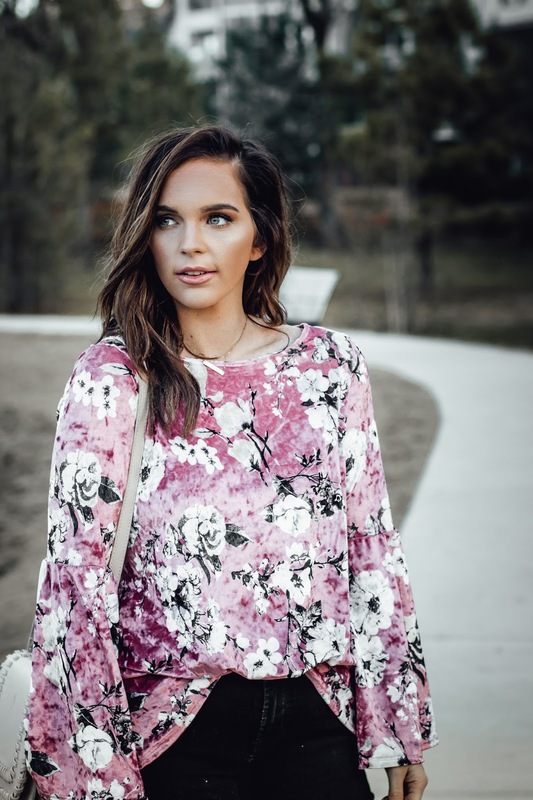 This would be so cute for a date night or a casual girls night out! How do you guys feel about velvet in general? I hope you all have the best Wednesday and hopefully where you are, you're enjoying this warmer weather!! Praying it stays but it will probably go, haha. Thank you all for following along, love you guys!